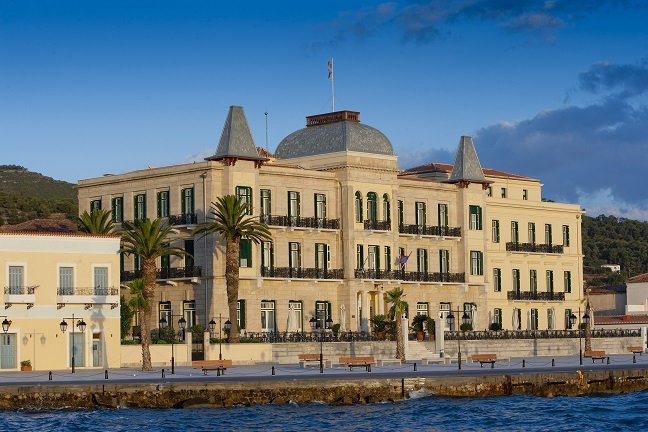 Spetses is an enchanting island of diverse natural beauty, a rich historic past and cosmopolitan Greek island lifestyle. Despite its modest size, the hospitable locals and its proximity to Athens have always made it a favorite holiday spot. Lush pine–forest landscapes and hidden coves with sparkling clear waters, quality restaurants and tavernas offering local flavours, car-free roads and the picturesque sea-front promenade all combine to create Spetses’ unique "Greek island" identity. Throughout the year, whether during the busy summer months or the mild winter and blossoming and scented spring time, Spetses attracts high quality visitors. Arriving by sea, the first images are of the proud island homes with their red-tiled roofs, set against a back-drop of pine forests. Wise building regulations impose strict architectural norms throughout the island. This has resulted in maintaining the unique and characteristic Spetsiot architecture which owes much to the finesse of the island’s onetime Venetian overlords and the great tradition of local merchant captains who brought wealth and pride to the island. Above "Dapia", rises the neighborhood of Kastelli, home to the first major settlement of the island and the Spezzie villas.